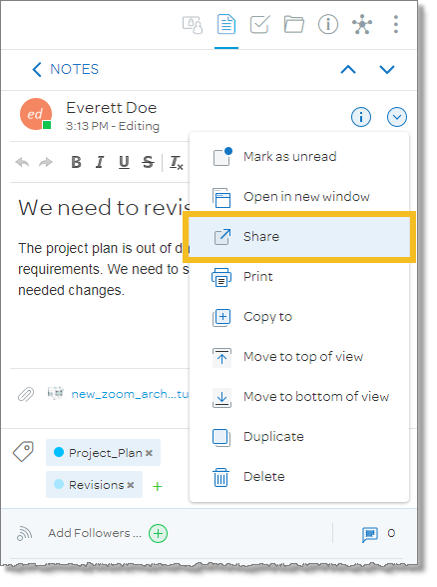 You can share notes, tasks, or files with other members of a workspace, send them in email, or copy a link to the item that you can send to others. In the item details tab for the item, click the Action icon , and then click Share. The Share menu appears. Click Members. The Members window appears. 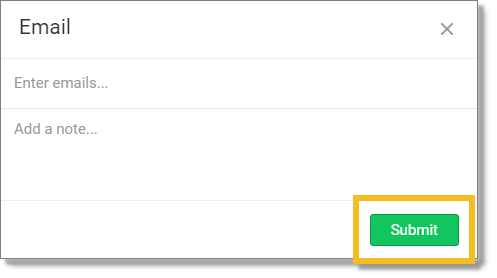 Select the members you want to share the item with. Click Submit. The item is sent as an in-app or push notification to the members you selected. In the item details tab for the item, click the Actions icon , and then click Share. The Share menu appears. From the Share menu, click Email. The Email window appears. Enter the email addresses of the people you want to share with item with. 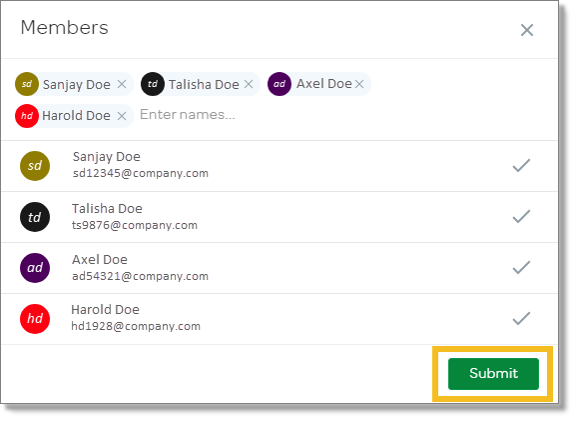 Add a message to a recipients of the email (Optional). Click Submit. 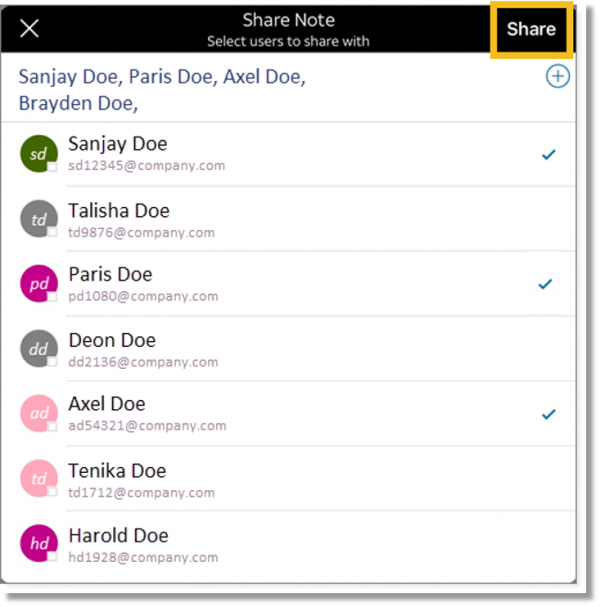 AT&T Collaborate sends an email to all recipients with a link to the workspace item. Check the item in the list you want to share. From the Share menu, click Get Link. The Copy Link window appears, showing the URL for the link. Click Copy. The link to the workspace item is copied to your computer’s clipboard. Tap the item in the list you want to share. From the window that opens, tap the members you want to share the item with. Tap Share. The item is sent as an in-app or push notification to the members you selected. 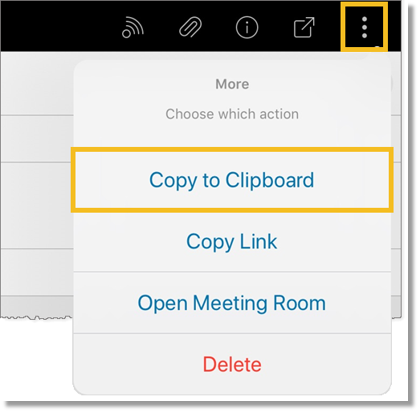 From the More actions menu, tap Copy to Clipboard. The workspace item is copied to your computer’s clipboard. In the workspace panel at the upper-right, tap the Notes, Tasks, of Files icon, depending on the type of item you want to share. A list of notes, tasks, or files appears. From the More actions menu, tap Copy Link. 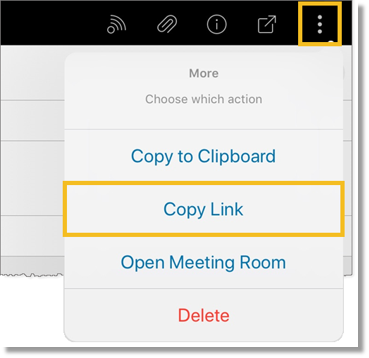 A link to the workspace item is copied to your computer’s clipboard.